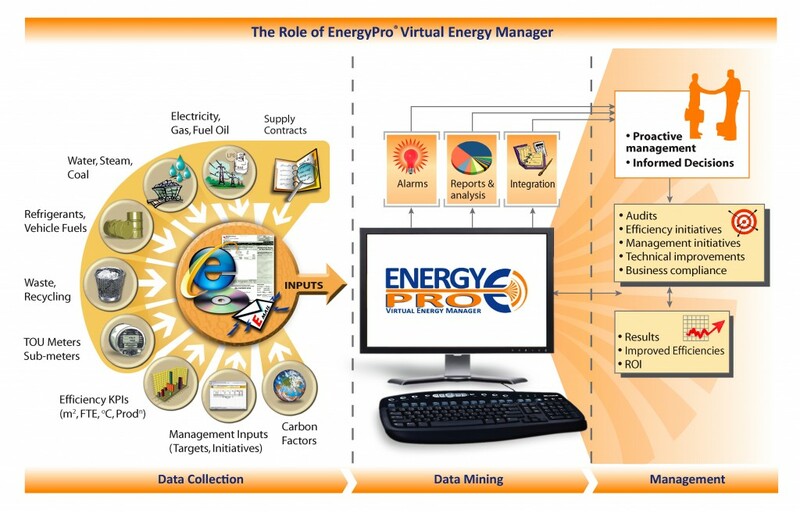 EnergyPro automates the collection, analysis & reporting in a phased approach resulting in Proactive Energy management. Data Mining: EnergyPro analyses the data for exceptions, raising alarms quickly & automatically with reports. 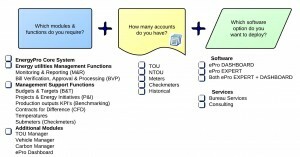 The analysis is integrated with your organisational structure – so it makes sense! Management: Proactive informed decisions can now be made with savings measured. Initiatives & improvements are undertaken & tracked for results. Trusted by leading energy managers since 1992. Centralises all energy utilities and carbon emission information, for an organisation. Faster, Better, More: Processing, analysis and management control. Flexible, Adaptable: Modules- from core to comprehensive. Options- in-house, outsourced or shared. Sustainable: People independent, practical and long term solution. Compliant and Verifiable: Developed in line with ISO14064 standard to assist in compiling a quality carbon inventory. Unlike other systems, EnergyPro® has the additional flexibility of a dual capability system dependant on the audience to ensure maximum value is derived where it is needed. eProExpert provides in-depth expert level processing, analysis and reporting for the most demanding audience including advanced reporting, financial integration, accruals and savings. eProWeb provides management view, web-based, dynamic reporting and filtering of data to ensure that the details do not cloud the outcomes. 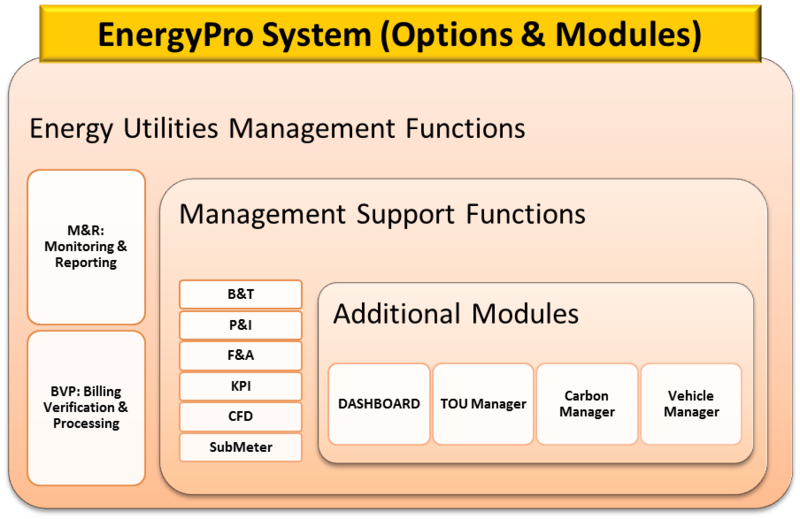 EnergyPro traditionally has been provided as a standalone product that works within organisations to support EM requirements. 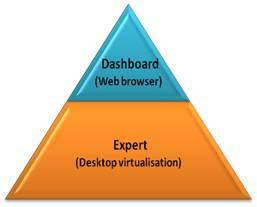 With the advent of cloud computing, our EnergyPro Online Products and Services provide for a wider level of engagement. Access Online: Reduce the need for IT maintenance, connection anywhere (with internet), updated software version, simultaneous access. Access to Bureau Services: Enables real-time service delivery, enabling collaboration with the bureau services team to better process, manage and report. Web based eProWeb: Provides a management view of energy and carbon usage throughout the entire organisation for 'non-expert' users. Includes tracking against previous periods & targets, filter for sites, periods and content you want to see, easily identify best and worst performers. Available anywhere, secure access to users assigned in Expert. "No software please"- For organisations who are not looking to implement a system in-house or prefer to outsource your Energy & Utilities Data Management, we can deliver bureau services to your requirements. EnergyPro is scalable and modular, allowing the system to be configured to meet your needs. Contact us for a system requirement analysis and quotation.